In many ways it was the perfect match: Ernest Hemingway whose heroes personified his definition of courage - "grace under pressure" - and Gary Cooper, the man who often portrayed those characters on screen. Yet in other ways-politically, intellectually, and personally- Hemingway and Cooper were a study in contradictions. 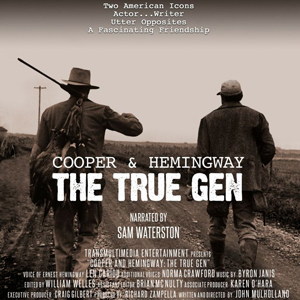 Cooper & Hemingway is a first class, dual celebrity bio-documentary. 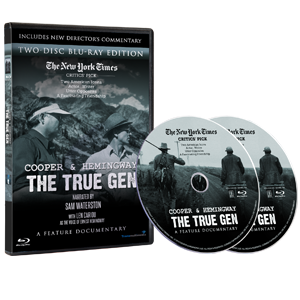 True Gen, written and directed by John Mulholland and Produced by Richard Zampella is exceptional, a NY Times Critics Pick, it opened in 2013 to considerable fanfare in NYC.